Strong 256bit AES encrypted vaults that meet today's security standards. Rest assured that your credentials are safe. Buttercup's software is free to download and use, forever. It's also available for all major platforms. 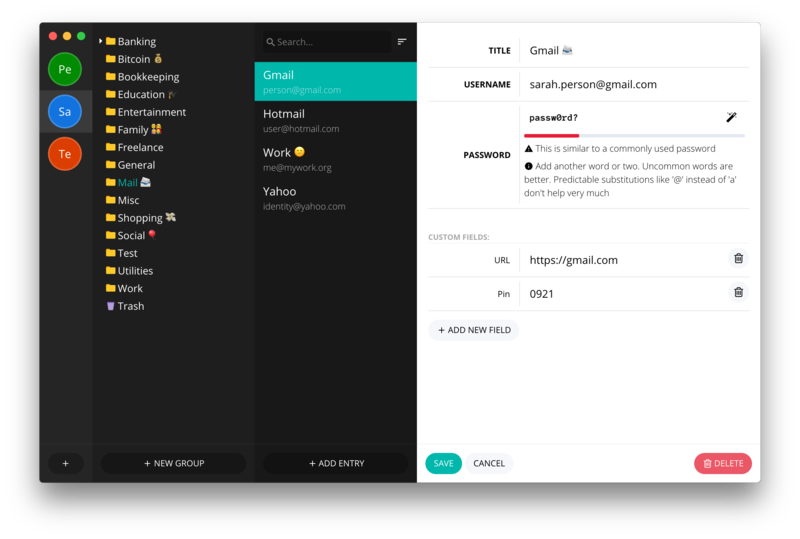 Buttercup for desktop is a beautifully-simple password manager designed to help manage your credentials. Buttercup uses very strong encryption to protect your sensitive details under a single master password - Feel free to use stronger and more complex passwords for each service and let Buttercup store them securely. 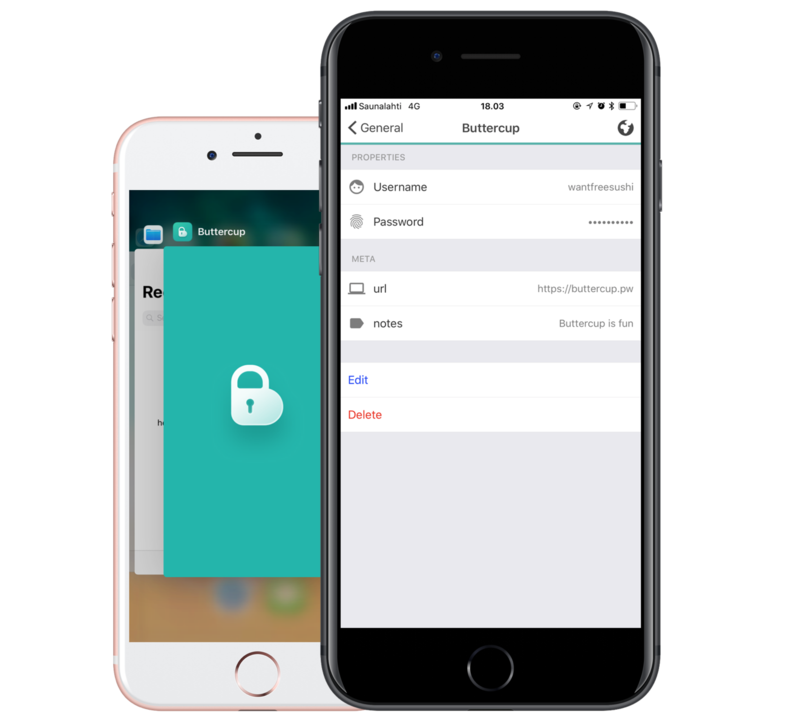 Take your login credentials wherever you go by installing the free iOS or Android app on your phone. Buttercup mobile gives you access to the same vaults you use on the desktop application and browser extension, so your newly added details can be seen on all of your devices. Buttercup’s mobile applications employ similar safety techniques to banking applications, such as auto-lock and a security overlay when the app is minimized. Buttercup is made by Perry Mitchell & Sallar Kaboli in Helsinki, Finland.